Yeah, OK. So it’s time to create the Stormcloak soldiers for Camp Varglya. Cool and dandy. There’s just this problem. I absolutely hate the Stormcloak uniform. You, know this one that just looks like the city guard outfit. It’s just boring, and it’s like Bethesda didn’t even make an effort. It’s just a recolour of a regular city guard. I need something to spice it up. 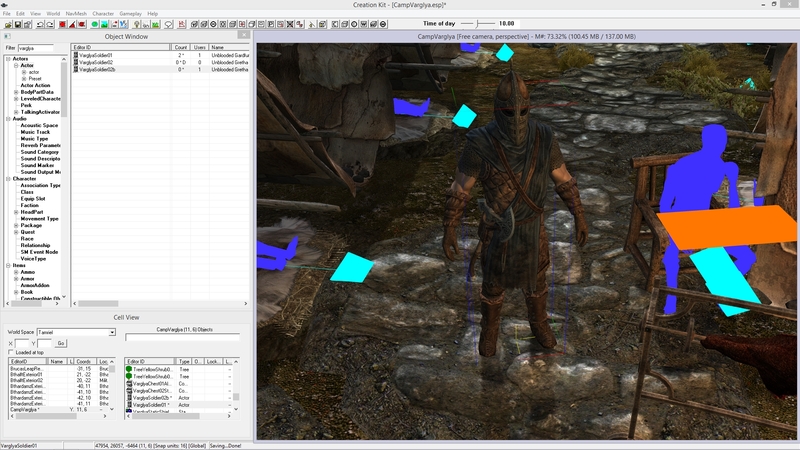 At least Cloaks of Skyrim adds a cloak to each soldier, and that’s a beginning. EDIT: I found the solution. Simple and easy. Stormcloak Armor Revival by Skyrimaguas. It’s awesome what a retexture can do. I am not going to add it to the mod, but I’m going to recommend it strongly. This retexture, along with Cloaks of Skyrim makes the Stormcloak soldiers look like soldiers, but still close enough to vanilla.